Photo: Jureczki House, ca. 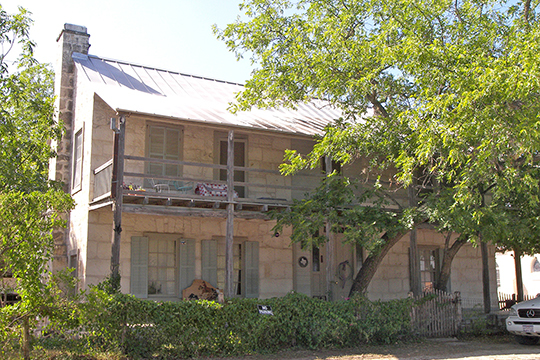 1876, 607 Cypress Street, Bandera, TX. Listed on the National Register of Historic Places in 1980, Photographed by User:Larry D. Moore (own work), 2009, [cc-by-3.0 (creativecommons.org/licenses/by/3.0)], via Wikimedia Commons, accessed April, 2016. Bandera County administrative offices are located at 500 Main Street, Bandera, TX 78003; phone: 830-796-3332. The county was established in 1856 from parts of Bexar and Uvalde counties. Bandera is a Spanish word meaning "flag."